The Canon EOS 77D is a very capable DSLR featuring a 24.2 megapixels APS-C CMOS sensor paired with 45-point all cross-types autofocus system and a fast DUAL Pixel CMOS autofocus with phase detection. It is a decent DSLR and can produce some very good images with vibrant colors. It can burst shoot at the rate of 6 frames per second and can connect wirelessly to other devices through Wi-Fi, NFC, and Bluetooth. A variety of external lenses could be used with this DSLR and the finest of them are as follows. Canon EF-S 18-200mm f/3.5-5.6 IS: This Canon lens for the EOS 77D is a lightweight lens with pretty moderate dimensions. It offers coverage from a wide angle to a telephoto perspective and is a pretty good all-rounder. It has an Optical Image Stabilizer with up to 4-stops of effective correction and that too at full zoom. Furthermore, there is a circular aperture in this lens which provides a pretty nice bokeh effect. It has an extremely fast speed and is priced very economically. Sigma 85mm f/1.4 DG HSM Art: This lens by Sigma is one of the finest portrait lenses out there in the market with an amazing blurry effect and a precise focus which allows the photographer to focus even on the pupils of subject’s eyes while blurring the eyelashes. It contains a newly engineered Hyper Sonic Motor (HSM) for nimble autofocus control and a torque which is 1.3 times better than its predecessor. This lens received a Gold Award and a 93% overall score from the critics at DPReview. Canon EF 50mm f/1.8 STM: This lens designed by Canon is an amazing portrait lens which could also be used as a walk-around lens thanks to its versatile features. It is a great lens to be purchased as the owners of the APS-C cameras can achieve an effective focal length of 80mm whereas, on the other hand, the photographers who own full-frame cameras will get an effective focal length of 50mm. It performs great in low-light thanks to the maximum aperture of f/1.8 and creates a great blurry background thanks to a circular 7-blade design. It is perfect to use for portraits, action and another kind of low-light photography. Canon EF 50mm f/1.4 USM: This lens is without a doubt one of the best portrait lens available for our professionals. It also proves to be a useful lens while doing some random street photography. It can focus quickly without making any noise producing some very fine and colorful images. The f/1.4 speed is perfect for using in low-light circumstances and it has a nice depth of field producing a good bokeh effect. 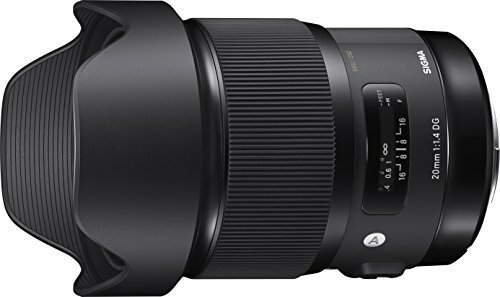 Sigma 50mm f/1.4 DG HSM Art: This lens designed by Sigma has a larger f/1.4 aperture and is specifically targeted towards the photographers who want to test their limits as this lens can do almost anything and can perform in many circumstances. It can be used for portraits, street photography, landscapes and studio photography. It has a 50mm effective focal length for full-frame DSLRs and 80mm effective focal length for APS-C DSLRs. It produces super sharp images with great colors and is a great choice for the professionals. Sigma 35mm f/1.4 DG HSM Art: Yet another lens engineered by Sigma. It received a Gold Award and an 89% overall ratings from the critics at DPReview. It performs wonderfully thanks to a rapid fast yet silent autofocus system. It has a durable build and an economical price, making it an attractive lens over its counterparts. 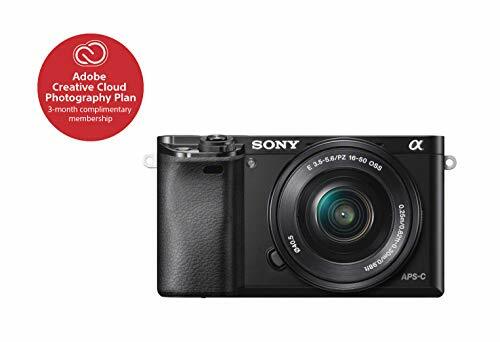 It does not have weather sealing but the pricing is pretty good and for a wide angle photographer, it is an excellent lens as it has a large f/1.4 aperture ensuring that the photographer gets the right amount of brightness and performs decently in low-light. Canon EF 40mm f/2.8 STM Lens: A compact and lightweight lens which produces some wonderful images with excellent colors and little or no distortion at all. It boasts the Canon’s exclusive STM (Stepper Motor technology) which makes sure that there is quieter and smoother continuous autofocus while recording videos. It received a Gold Award and an 84% overall score from the critics at DPReview. 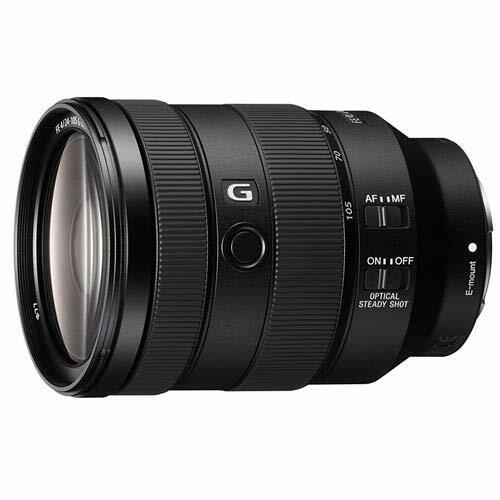 Sigma 18-35mm f/1.8 DC HSM Art: This lens is the first one in its respective domain to feature a larger aperture of 1.8. It is ideal for capturing still life, landscapes, close-ups, and casual snapshots. It also boasts a Hyper Sonic Motor (HSM) which ensures that the autofocusing is smooth, fast and precise. The 9 blade round diaphragm is responsible for a nice and soft background blur. This lens is the benchmark in its respective category and is rated as a “must-have” by the experts. Canon EF-S 17-55mm f/2.8 IS USM: This lens amazes everyone with its brilliant low-light performance and a quiet plus fast autofocus. It produces excellent sharpness, great bokeh effect and little or no distortion at all. The lens is engineered by Canon using UD and aspherical elements to provide fine quality throughout the zoom range. The Image Stabilization compensates for camera shake–the due to which the image appears crisp and clear on the image plane, even in dim light. Furthermore, there is a large circular aperture which can create a shallow depth of field resulting in a fine background blur. Sigma 20mm f/1.4 DG HSM Art Lens: This lens is the only 20mm prime lens in the world that has achieved the large aperture of f/1.4. It is a state of the art wide-angle prime lens specially designed for full frame cameras but is also capable of working with APS-C sensors. It has an excellent performance and is perfect for astrophotography, landscape photography and other kinds of low-light photography. Samyang 14mm f/2.8 IF ED UMC: This lens by Samyang is a good wide angle prime lens for those who are under a budget. It is one of the most economical lenses yet performs amazingly. It has decent built quality and superior construction resulting in some of the very sharp images. There is a Super multi-layer coating which is responsible for reducing flares and ghost images. 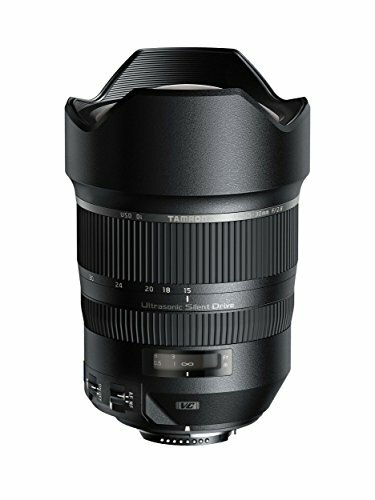 Tokina 11-16mm f/2.8 AT-X116 Pro DX II: Tokina’s wide-angle zoom lens provides the best image quality. This is the best wide angle lens for a crop sensor. Those photographers who are looking for an ultra wide angle lens for their crop sensor (APS-C) camera, this is the lens they should opt for. Canon EF-S 10-18mm f/4.5-5.6 IS STM: This lens offers great optical performance with excellent sharpness. This lens is packed in the lightweight body with compact dimensions. It is priced at a reasonable price and is a great option for APS-C sensors. It provides reliable and quiet wide-angle results and is an ideal partner for travel and random snapshots. Canon EF-S 10-22mm f/3.5-4.5 USM: Another fine option as it can take some exceptional photos courtesy of excellent optical quality and outstanding autofocus performance. It can capture some very fine and razor sharp wide angle photos. It is quoted as a “must-have” lens for the enthusiasts and professionals by the experts. Canon EF 70-300mm f/4-5.6L IS USM: This is without a doubt, the best zoom lens available for the Canon EOS 77D thanks to a powerful Image Stabilization, excellent performance, and magnificent design. The two modes optical Image Stabilization System enhances the usability by approximately four steps. This lens is ideal to use for capturing nature, portraits, and landscapes. Canon EF 70-300mm f/4-5.6 IS USM: This is the budget option with great performance. It boasts an Ultra Sonic Motor ensuring fast, smooth and quiet autofocus. There is also a zoom lock button which keeps the lens secure when not in used or when it is being used at shortest 70mm focal length setting. A “Super Spectra” lens coatings which are Canon’s exclusive coatings for flare-resistance are also a part of this lens. Furthermore, the Image Stabilization of this lens is capable of “shake” correction, and the “Mode 2″ option stabilizes images while panning with a moving subject. This lens is ideal for travel, sports and other kinds of random photography. Canon 55-250mm f/4-5.6 IS STM: Yet another budget-friendly choice for our readers on a budget. This lens is ideal for video making and features Canon’s exclusive STM Stepper Motor technology which allows you to have a quieter and smoother focus system during video recording. The newly designed CPU and a rear focus mechanism with improved AF algorithm is also a part of this lens. This lens is an ideal companion for those who wants versatility in their lens’ kit. The lens is designed in such a way that it has almost no weight and the dimensions are pretty compact. The Optical Image Stabilizer has up to 3.5* equivalent stops of shake correction. It extends the camera’s reach significantly, capturing sharp images of faraway objects, even when handheld. Sigma 150-600mm f/5-6.3 DG OS HSM Sports: This lens is considered the best value telephoto zoom lens. It features a 2 FLD glass elements (Fluorescent Light lens filters) and 3 SLD glass elements (Special Low Dispersion) which produces some of the most beautiful and amazingly sharp images throughout the entire zoom range. It is for those professionals who want to shoot wildlife, sports, nature and other telephoto-centric outdoor objects. Canon EF 100-400mm f/4.5-5.6L IS II USM: This brilliant super telephoto zoom lens by Canon is a spectacular mixture of compact design, top of the line performance and excellent resolving power that’s great for sports and wildlife photography. The lens boasts one fluorite and one super UD element to assist in providing excellent contrast and resolution with little or no chromatic aberration across the entire zoom range. Canon EF 100mm f/2.8L Macro IS USM: For doing macro photography, this one is the go-to lens. Whether you are up for insects, flowers, wedding or some other type of macro shooting, this lens never disappoints. It features a Hybrid Image Stabilization Technology which can compensate for both angular and shift camera shake during close-up shooting. It also performs brilliantly in low light conditions and is overall a very good lens.